Joker's Updates - Robyn Kass-Big Brother Casting - Ever wondered what goes into casting Big Brother? Robyn Kass tells all! Ever wondered what goes into casting Big Brother? Robyn Kass tells all! How many people apply each year, and do you have tips for people who want to apply? It varies..... We usually get anywhere up to 30,000 applicants. Well.... First I’d say try being creative with your tape. (No more eating PB and J sandwiches....we get tons of those). Don’t rehearse your tape.... We love seeing people laugh or mess up on their tape- it shows a real side to them. And don’t interview other people on your tape... It’s YOU we want to see not your friends. Do you really choose people from their MySpace accounts? We use EVERY avenue possible to get people to apply. We are ALWAYS armed with our business cards and if I’m out and about and I see someone who seems like a character I might approach them and ask them to apply. 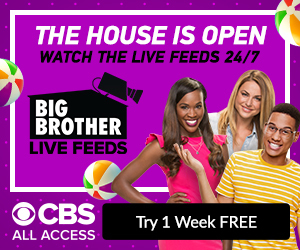 You’d be surprised to know how many people say, “I’ve always thought of auditioning for Big Brother, but didn’t really think you looked at the tapes.” We spend about 2 months looking through EVERY ONE OF THE TAPES THAT COME IN. From beginning to end around 4 months. How difficult is it to cast for a show where the elements inside the house can and most likely will change the people as time goes by? It is hard. I’ve been casting Big Brother since season 2 and I’d like to think I’m a pretty good judge of character. It’s important I know these HGs inside and out before putting them on the show, but as you know sometimes the elements of the house are more difficult than people expect. In your eyes, which cast from BB panned out the best in terms of what you expected and sheer entertainment value? Wow, tough question for me! I really do love Big Brother and as corny as it seems every one of those HGs are like kids of mine. Hummm, I have favorite moments from each season, but as a whole it would be hard for me to choose one season over another. Do you cast every house guest or only a few of them? Do you know the "theme" of Big Brother before you cast it? For example, did you know last summer would be the "Summer of Secrets" or did you only know the producers wanted pairs/partners cast? I’m definitely in the loop with anything that has to do with casting. Would you say that BB casts for certain types, ergo the gay flamboyant male, the pretty college girl, the older man who's funny, etc? I do get asked that question a lot. I always say the best people get on the show no matter what “type” they may be. The network doesn’t give me restrictions like that, but I think a good cast is a well rounded cast which means as many different “types” as possible. How shocked are you at the reactions of the public to your casting choices (ie: The friendship or Kaysar)? I guess if the cast is stirring up emotions (good or bad) it means I’ve done my job. There would be no show if all the viewers loved everyone. I absolutely love the viewer’s reaction to Kaysar! How often do they choose someone who turns out to be completely different in the house than they were on their interviews? Any names? Sure, it happens every once in a while. Examples??? Kaysar is a great example... We all loved him in his interview, but I think we were all pleasantly surprised and what a fierce game player/ master mind he ended up being! Who are your favorite past BB castmates? Least favorites? Ouch.... I really couldn’t answer that. I know it seems unrealistic, but I love them all and feel lucky to call them all friends! Is there a reason so many from last season were from Florida? Nope, that’s just the way it worked out... I know, it was weird for us too. Which is more important in casting, looks or personality? I’d say competitive nature is first when casting BB. You really have to love the game to want to get in there and play! Personality is much more important than looks, but since BB is a summer show with a back yard it never hurts to make sure we have a few HGs who look great in their bathing suits! Has what you're looking for in a BB houseguest changed over the years? Some say that in recent years, more actors made it into the house. No, not really. You have to realize that people who come off reality shows get a small taste of what celebrity can feel like and it’s like a drug... They want more. The majority of HGs were not actors coming into auditions, but once they get out they don’t want to give up the lime light so they pursue it. We have NEVER used any kind of agency to help us in cast. I can probably count on one hand the number of HGs who had any REAL experience in front of the camera BEFORE Big Brother. But on the other hand, just because someone is an actor doesn’t mean they’re not a real person... They can still apply to be on the show as long as they are themselves. When are you going to start narrowing down the finalists for BB7? We received more BB applications/ tapes this year than ever, so we’re still getting through those. Dates are up in the air until we get a little closer. Which BB casting decision are you most proud of? Seriously, the day our cast is approved by the network is always the happiest day of my life (for that year). It’s long, exhausting, exciting, nerve-racking all rolled into one. I’m always proud once we’ve locked it! Stu answers all of our questions about his experience on the show. Mike answers our questions about his experience on the show and Jen. He even gives us a humorous twist on life with Stu and Fabrice.